When planning a guest room consider two twin beds. This will give you the flexibility to accommodate two singles or one couple. Two beds can be joined with a twin doubler which wraps around the twin mattresses to create a king bed. 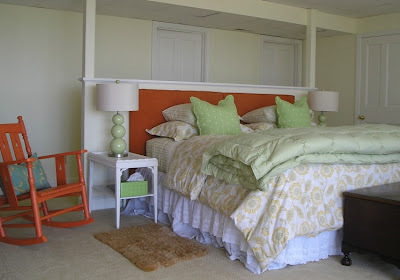 When using headboards be sure that they are attached to the bed frame to make it easy to slide the beds together. One example has no headboards and uses wall mounted lamps. 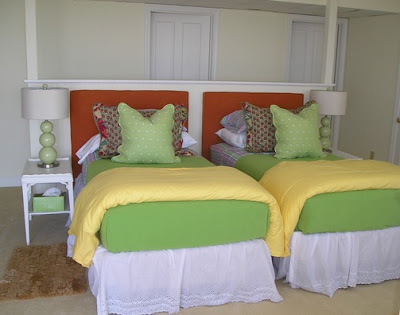 The second example has upholstered headboards in a square shape so that they fit nicely next to each other.